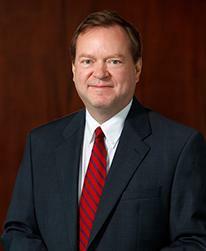 For thirty years Craig Gillen has achieved sustained success in federal courts throughout the country, first as an Assistant United States Attorney in the Northern District of Georgia, then as the Deputy Independent Counsel for Iran/Contra, and subsequently as a criminal defense attorney. At age 27, Mr. Gillen began his federal career as co-counsel in the successful ten week RICO prosecution in U.S. v. Michael Thevis, et. al. (Criminal Case No. : 1:78-CR-180). Mr. Gillen received a special commendation at the Department of Justice in Washington, D.C for his role in the Thevis prosecution. As a result of his successful multi-week prosecution of a corrupt sheriff, U.S. v. James Glass, Mr. Gillen received the Department of Justice s Director's Award in Washington D.C. in 1983. For his efforts as lead counsel in the ten week prosecution of a thirty defendant RICO case, U.S. v. Harold Rosenthal, Mr. Gillen received a second Director's Award in Washington, D.C. in 1986. In October of 1989, following his successful prosecution of United States Congressman Patrick Swindall (Criminal Case No. : 1:88-CR-477), Mr. Gillen received an Attorney General's Special Achievement Award. In January 1990, following the Swindall prosecution, Mr. Gillen joined the Office of the Independent Counsel for Iran/Contra in Washington, D.C.. Mr. Gillen served as the Deputy Independent Counsel and supervised all of the investigations of the continuing investigation. He was the lead counsel for the following Iran/Contra cases: (1) U.S. v. Elliott Abrams (former Assistant Secretary of State for Latin American Affairs); (2) U.S. v. Alan Fiers (former CIA Chief for Central America; (3) the indictment of U.S. v. Casper Weinberger (former Secretary of Defense); and the multi-week trial in U.S. v. Claire George (former CIA Chief of Worldwide Operations). In 1993, following the Iran/Contra presidential pardons, Mr. Gillen started his own private practice in Atlanta, Georgia. As a criminal defense attorney, Mr. Gillen is well known for his success in defending his clients. He has won not guilty verdicts at trial for government agents, businessmen, and professionals and he has obtained dismissals for attorneys, businesses and corporate officers.